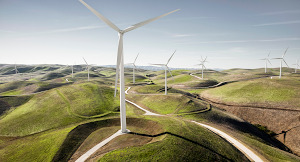 Connecterra means “connected earth.” We formed the company based on a simple thesis: if we could use technology to make sense of data from the natural world, then we could make a real impact in solving the pressing problems of our time. It all started when Yasir moved to a farm in the Netherlands, near Amsterdam. We had both spent many years working in the technology industry, and realized that the dairy industry was a sector where technology could make a dramatic impact. For instance, we saw that the only difference between cows that produce 30 liters of milk a day and those that produce 10 liters was the animal’s health. We wondered—could technology make cows healthier, and in doing so, help farmers grow their businesses? That thinking spurred us to start working weekends and evenings on what would eventually become Ida—a product that uses TensorFlow, Google’s machine learning framework, to understand and interpret the behavior of cows and give farmers insights about their herds’ health. Ida learns patterns about a cow’s movements from a wearable sensor. We use this data to train machine learning models in TensorFlow, and ultimately, Ida can detect activities from eating, drinking, resting, fertility, temperature and more. It’s not just tracking this information, though. We use Ida to predict problems early, detecting cases like lameness or digestive disorders, and provide recommendations to farmers on how to keep their cows healthy and improve the efficiency of their farms. Using these insights, we're already seeing a 30 percent increase in dairy production on our customers’ farms. By 2050, the world will have 9 billion people, and we need a 60 percent increase in food production to feed them. Dairy farmer assistance is just one example of how AI could be used to help solve important issues like this. And at Connecterra, by using AI to create solutions to big problems, we think technology can make a real impact.